We have all been there, where we wonder something but are afraid to admit we don’t know it, or perhaps we find ourselves in a scenario where we think we know what some keyword means, but later find out we actually didn’t have a clue. This is a watch glossary focused on less known watch terminology. In this watch glossary, you won’t find the most common and basic watch terms and words. Instead, we focused on compiling a watch glossary that is focused on more advanced and niched terminology related to watches that we’ve been receiving many questions about. Since there is little information available on these watch-related terms, we thought we’d compile a complete list of watch-terms that are often used to describe watches and that are used related to watches, and then gone in-depth to describe them. If you have any other less-known watch terms that you’d like us to include in this watch glossary, don’t hesitate to contact us at hello@MilenniumWatches.com and we will add it to this list with a detailed explanation of the term. Many of the terms listed in this resource are related to vintage watches and the terms used to describe these, but we also explain other terms related to the world of watches. The terms described in this article are terms that you won’t find in your ordinary watch glossary, and with this knowledge, you are more than ready to start conversations with beginners or experienced collectors. Dig in! A gilt dial is a term used to describe some vintage watches, in particular, some vintage Rolex watches. When someone says Gilt dial” they mean that there is no white element on the dial. Instead, all the text on the dial is done in a golden color. Some gilt dials, however, can include a line of text printed in white, but the vast majority of gilt watches have dials printed in a golden color. Rolex Gilt Dial by @VintageRolexMania. Vintage is quite a broad term that isn’t just used to describe some watches, but essentially everything. Originally, the term was used for wine, but the word has come to be used to describe more things than that today. As such, a vintage watch is a watch that is at least 20 years old. It’s not uncommon that you can hear people describe watches that are less than 20 years old, but with this, they mean that the watch has vintage traits and have started to show signs of aging which vintage watches have. Glossy dials, or gloss dials, are exactly what the name suggests. The term gloss dial is often used to describe some of the dials of some Rolex’s modern models, however, many other watches also have gloss dials. Gloss dials of watches are made of a glossy material such as ceramic, and this contributes to a more luxurious and elegant appearance. No, tropical in watch-related context does not refer to a beach vacation in a tropical location. Tropical is a word often mention when talking about vintage watches, more specifically when dials are mentioned. A tropical dial is a dial that has changed color naturally from its original color due to aging. Rolex watches, in particular, are highly appreciated when they have a tropical dial among collectors and enthusiasts. Tropical dials are brownish in color, either completely or partly. In the early super rare Submariner reference 6200, we have the Explorer tropical dial that has changed its original black color dial to brown/coffee color dial. Tropical dials do not only exist on Rolex watches but can be found on essentially any other watch brand as well. Tropical Rolex Dial. Photo @Silas815. Sunburst is a word often mention when talking about dials of watches. What it means is that the dial can look different depending on how the light hits the dial. For, example some dials of the Rolex Submariner reference 16613 can look blue and purple depending on how the light reflects on the dial. Sunburst dials are brushed which allows for a great depth in the dial, but most importantly, affects how the dial looks when the sunlight bursts the dial. A rivet bracelet is an early and very prestige kind of bracelet for Rolex watches. These bracelets were not that well made as they are today, however, they are very coveted today and highly collectible. Rivet bracelets are used in modern watches today as a hint to the heritage of many watch brands, and in recent times, we’ve seen Tudor introduce the Rivet bracelet to some of their Black Bay models, among many others. A rivet bracelet has rivets, therefore the name, on the side of the links, which hold the links together. Tudor Rivet Bracelet. Photo @TudorWatch. When looking at watches bracelet from the 90’s and before the end link of the bracelet ( the last link that is attached with the actual watch ) is often not solid, however, that took a change later on and the end links started to become solid making the end links feel more luxurious. A solid end link is exactly what the name suggests, the end of the bracelet that is attached with the watch. The end link, in this case, is made of solid material and is not hollow. A watch with an annual calendar makes it easier to keep track of the length of the month. An annual calendar knows whether it’s a 30 or 31 day month. However, it needs to be set once a year, in February when the month only has 28 days. A triple calendar is a complication to the watch that shows the Day, date and month on the watch. When talking about movements accuracy is very important in order to rely on your watch. COSC stands for Contrôle Officiel Suisse des Chronomètres. COSC has certain requirements on movements that they need to approach. A very accurate and common number would be -4/+6 seconds a day. COSC is the Official Swiss Chronometer Testing Institute ad this institute is responsible for certifying the accuracy and precision of watches in Switzerland. COSC was founded in 1973 and it is a non-profit Swiss organization. Bubble Back is a Rolex watch that is known for its case back (cover of the back of the watch) that was very rounded and big, and therefore it’s known as the “Bubble Back”. A tourbillion is more or less a modification or a complication that can be seen on very expensive or exclusive watches. The reason is that the tourbillon function is complicated and expensive to make. The tourbillion is a cage where the balance-wheel is located that spins, in order to compromise and reduce the impact gravity, has on the movement. The invention more or less makes the movement more accurate because of its resistance to gravity. GMT stands for Greenwich Mean Time and is often referred to when a watch has a fourth hand that shows a different time-zone. We can example see a more practical example when we take a look at the Rolex GMT Master, the model was originally invented for aviation pilots that needed a second hand in order to set a separate time-zone other than their normal hour, minute and second hands. In short, GMT is a function that allows you to keep track of two time zones at the same time. A minute repeater is a fine mechanical watch feature often seen in very exclusive watches. What a minute repeater does is that with a press of a button, the watch starts singing ( enthusiastic way of saying it ) the time. Every hour has a different sound and the same goes for the quarters and minutes. With this developed, it’s possible to tell time by just listening to your watch sing. A mechanical watch is a watch powered by pure energy. The two most common ways of a mechanical watch are either the automatic or manual variation. The Automatic version is a movement with a rotor that winds up the power reserve by just moving the watch, this is often related to Rolex watches. There is also a manual movement that requires you to wind up the power reserve manually, this can often be seen in the Omega Speedmaster Professional. A quartz movement is a watch powered by a battery. Often there are cheaper watches that are powered by a battery, however, Rolex has produced Quartz watches in their OysterQuartz series. This is a type of dial that Rolex watches have. The onyx dial can be seen in the Day-Date or the Datejust and is a stone dial in black. The dial is very exclusive and very rare, with that said it’s a very unusual dial to come by, and the price reflects this. This is a blue type of stone dial that can be seen in the Day-Date and Datejust. Just like the Lapis dial, it’s very rare and extremely uncommon. Often a dial set with hands cost the same as the watch ( Day-date reference 18239 ). Malachite is a type of dial. Malachite dials are most spoken about in Rolex context since some Rolex watches have this dial. There are, however, other brands that use malachite dials as well. Malachite is a type of mineral stone that Rolex takes, refines, and makes it into a dial for its watches. Malachite is a copper carbonate hydroxide mineral. The Malachite mineral is an opaque, green banded mineral which crystallizes in the monoclinic crystal system. It is green and can create unique and different looks to the dial, like a piece of art. It can also be other colors such as blue, but you’ll most often see them in green when you see them. A MOP is a dial not uncommonly used in watches, and it is most often seen on ladies’ watches since it makes for a feminine look. That is, however, not to say that they aren’t used in men’s watches since they can enhance the exclusivity of a watch. MOP stands for “Mother of Peal”. This dial is not as common as ordinary black and white dials but not as rare as the lapis, onyx or malachite dial. However, it has an unusual look that can be seen in the Daytona and Yacht-Master for example. The official name of Mother of Pearl is Nacre, however, in watch context, the term “Mother of pearl” is the one that you’ll come across. Mother of pearl is an organic-inorganic composite material. It is produced by certain molluscs as an inner shell layer and it also makes up the outer coating of pearls. Mother of pearl is strong, iridescent, and resilient. Quickset is a feature that almost all new watches have. Quickset makes it easier for you to set the date on a watch. Take for example the Rolex GMT Master reference 1675, it’s a fine watch and the second GMT Master ever made, however, it didn’t feature the quickset feature in its’ movement making it very difficult to set the date if the watch did stop. The updated version reference 16750 however, did include a quickset feature where you could set the date separately and fast. Tachymetre is a scale where you can measure speed based on distance. This is the most common scale that is used when producing chronographs today. The way it works is that the chronograph has an outer bezel that indicates either km/h or miles/h. let us say you’re about to measure how fast you go with your car for a kilometer. The moment you start driving you activate the chronograph and when you have reached one kilometer you stop the chronograph. Where the chronograph hand has stopped, it indicates on a number based on the bezel, and that’s the average speed you were going during that distance. Toolwatch is something often mentioned in watch articles or just discussions. A tool watch is basically a watch that is made for a purpose other than to just look good or work as a piece of jewelry. A toolwatch was crucial for different areas and professions back in the days when the iPhone didn’t exist. Let’s take the Tachymetre scale on a chronograph, for example, it was made for something and had a purpose, because of that it can be seen as a tool watch. The same goes for diver’s watches which diver’s needed to keep track of how much oxygen they had left in their tanks. A homage is a very controversial watch type and a brand known for its watches being homages is Steinhart. There are two sides of what a homage watch really is. A homage is basically a watch that looks like another famous model. Take the Rolex Submariner for example. It’s more or less a look alike, however, it’s not a copy. Some people think a homage is something to embrace the original model, while some others strongly believe that it’s a pure copy that stole the design. Wikipedia explains the word in the following way “A homage, especially something in an artwork which has been done in respectful imitation of another artist.” and that’s exactly what a homage watch is. We hope that you have found this watch glossary helpful! Hopefully, you’ve gotten a better understanding of some less discussed watch terms and can identify different parts, characteristics, and traits of watches. If you have any watch-related words and terminology that you wonder about, you are more than welcome to contact us at hello@MillenaryWatches.com and we’ll gladly answer them and maybe even add them to this list. 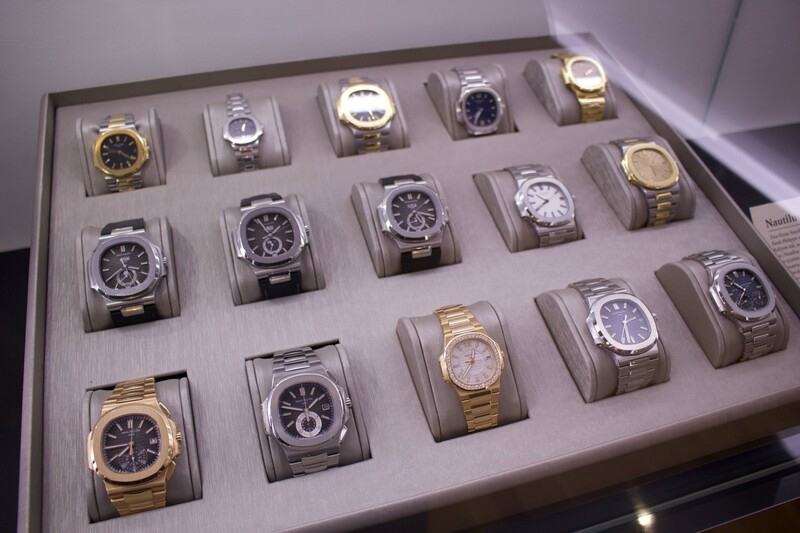 Next post: Do Rolex watches Hold Their value? Here’s the Answer!